Reliable Amazon keyword data for a data-based SEO optimized listing and PPC marketing strategy. Discover low competitive yet high opportunity shopper keywords. Increase brand awareness, leads and eventually spike sales with the right keywords. Attract the best potential shopper audience with improved and optimized SEO to reach more relevant audiences across the world. Stumble upon hundreds of profitable search terms, that are commercially viable with a lower competitive index. We ensure that our data is precise. No matter what, we’ll be your support in the long run. We understand keyword research can be quite hard which is why we put all our efforts into developing a tool that’s intuitive yet informative. 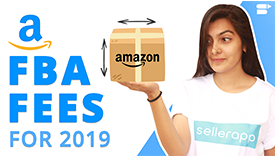 Whether your shortlisting keywords for Amazon SEO or for PPC, SellerApp provides you with the complete data of the keyword - the monthly search volume, real-time PPC cost and impression rate to pick out only the best. With SellerApp you gain insight into the exact data you need. Quickly analyze the keyword trend snapshots within any historical time period to pinpoint the search behavior and profitability of the keyword. Amazon can help your business reach half the world’s population. You just have to understand how to make your product available to them. The right keywords open up the opportunity to reach your potential shopper audience. From the top searched keywords to long tail keyword suggestion, you’ll see hundreds of useful keyword suggestions from the Keyword Research Tool. And to make the process of finding keywords easier, we’ve added match type selection and filtering so that you can easily find the keywords that are the best for your Amazon product. Keyword Research isn't just about the Organic SEO. It also plays a huge part in the Amazon PPC results. Find profitable keywords for PPC based on the search volume and the search trends of the keyword. With the real-time bid costs as well as the broad and exact match search impressions for the top converting keywords, you’ll no longer have to guess the keywords for your PPC campaigns. Interested to know the exact keywords in the top seller’s listing? With the competitor ASIN feature in Keyword Research, discover the top searched keywords in any product listing. You’ll also see the search volume, the real-time keyword bid costs, the top products indexed along with the broad and exact search impression to find the exact keywords that’d bring you sales. You’ll no longer have to read through listings to shortlist the keywords used in them. How is the keyword data populated? What is the source? How often is the keyword database updated? Is the data available for all the Amazon marketplaces? Can I get a personal platform walkthrough? Do you offer listing optimization services?